Following our autumn colours trip to meet a friend at Westonbirt Arboretum recently, Carol had arranged a follow-up trip to meet the same friend at Burnham Beeches intent on yet more autumnal colour. It was fortunate that, having a pre-arranged rendez-vous, the weather was more or less as forecast, dry with occasional glimpses of sunshine. Being in the second week of November and on the wrong side of a slight frost or two, I was not really expecting to see any dragonfly friends at the ponds but I nonetheless packed my 100-400 lens just in case. We arrived at 10:00 AM, met our pal and began making our way into the woodland via Upper and Middle Pond. As expected, I drew a complete blank at the first but the day was still young and cool. The two landscapers paused to study a small woodland stream and I continued on to Middle Pond. As I approached, I almost immediately disturbed a mosaic hawker which immediately scarpered leaving me excited but a little frustrated wondering what it might have been. A few more steps had me disturbing a male Common Darter (Sympetrum striolatum) that had been warming itself perched on some sunlit fallen autumn leaves. Carol and friend joined me having rejected the woodland stream and I left my Odo friends to warm up a little as we continued to try our luck with the fall foliage. 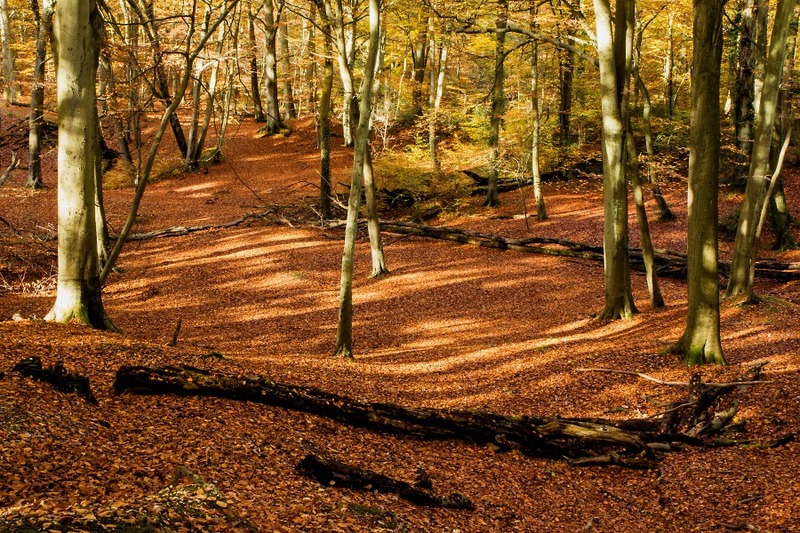 We are novices at Burnham Beeches, not knowing the lie of the land at all well. We had, however, found an interesting and rather dramatic bowl on our one previous trip and we made this our first landscape target. The three of us set our tripods up at varying strategic places – or, at least, places that we hoped would prove strategic – around the rim of the bowl. There was very little light at first and no sun; to be honest the colours just didn’t seem to be singing and I almost didn’t bother. As time wore on, though, some clear sky allowed a little light to fall and Carol snagged a much more interesting shot than any of my rather dull efforts. She calls it Sleepy Hollow. Disappointed with my amateur efforts at trees, I returned to Middle Pond at midday while Carol and friend went to look for other landscape opportunities. At Middle pond, activity still looked subdued – until, that is, the sun emerged. Suddenly I was seeing not only single male Common Darters but also tandem pairs. 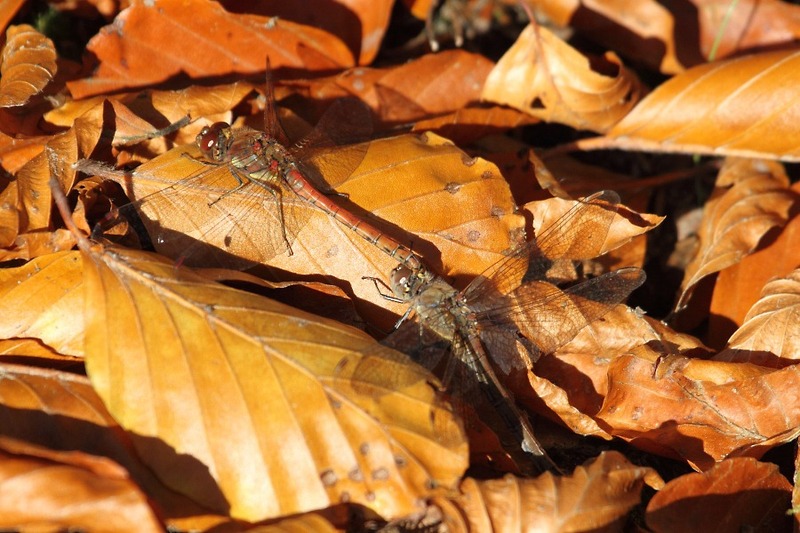 One pair alighted and posed on some golden brown leaves close by. This shot seemed to be my best attempt at autumn leaves of the day, too. Soon, I had counted at least 10 Common Darters including three tandem pairs ovipositing. With such late season activity, my spirits were now lifted, though I still wondered about the hawker. I was about to call it a day and retire for a sausage sandwich when a mosaic hawker flew by me. I prayed, in an unreligious, Darwinian kind of way, and she soon alighted on a fallen tree trunk in the pond and began ovipositing right before my eyes. 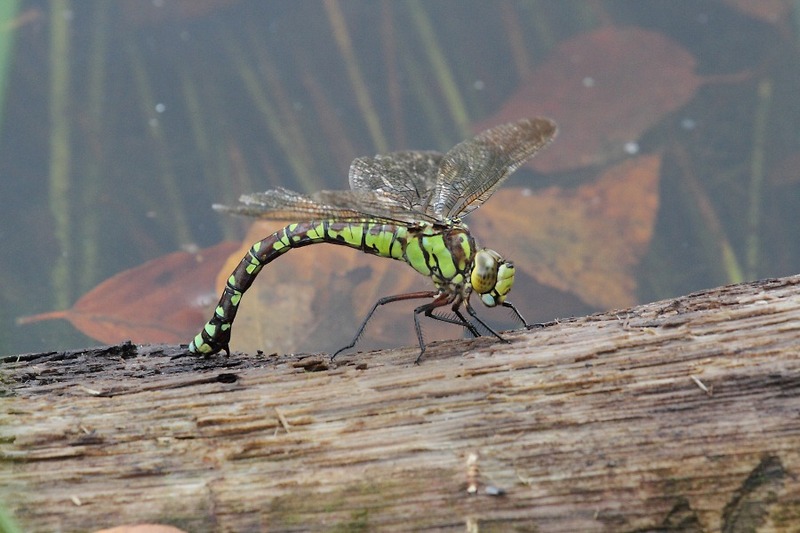 The behaviour was enough to suggest that she was a Southern Hawker (Aeshna cyanea) and indeed, that’s what she was. Well pleased, I sat at the cafe to wait for my companions to turn up with some money to buy me my sausage sandwich. I really must remember to take my wallet with me on days like this. Eventually the landscapers arrived and sated my hunger. 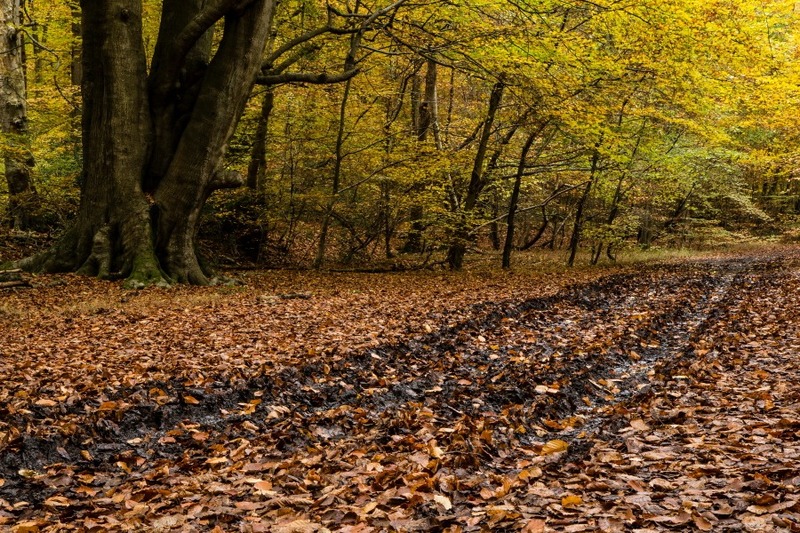 Several handfuls of canine irritations seemed intent on wrecking the tranquillity of an otherwise peaceful English woodland environment – no change there, then. I have a feeling that Burnham Beeches may be used by “professional” dog-walkers. Growl! Here’s another one of Carol’s more peaceful scenes to make amends.